Calling all RailCats Baseball fans! Want to attend RailCats games at a discounted rate? Looking for a great way to reward employees or entertain clients? Season tickets allow you to do all of those things and to never miss out on any of the action at the Steel Yard! 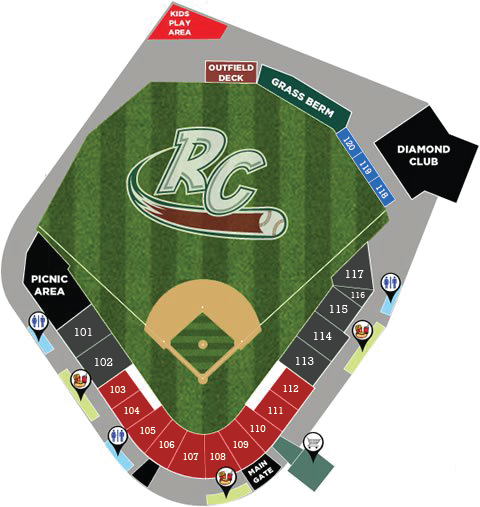 The 2-Year Season Ticket Package allows you to pick your seat between Box Seating (Sections 103-112) and Reserved Seating (Sections 101-102 & 113-120) for ALL RailCats preseason and regular season home games in 2019 & 2020! Over $200 in savings each season! Purchase of this package is a (2) two year agreement. After payment today for the 2019 seats, season ticket holders will be billed for the 2020 seats in October. If the season ticket holder cancels tickets prior to expiration of contract, the seat holder is responsible for paying the difference between their multiyear price per seat, and the (1) one year price per seat. Call 219-882-2255 for more info!